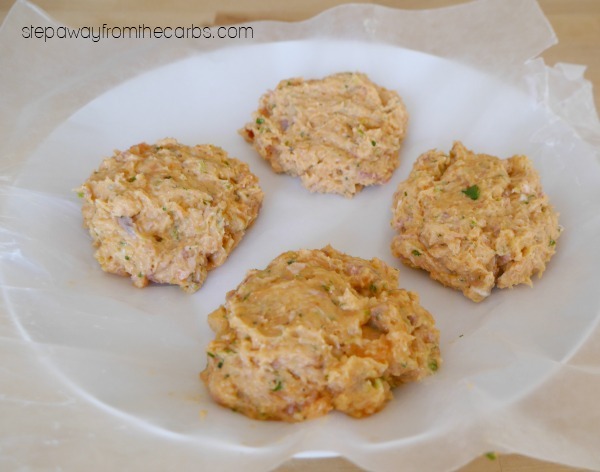 These Thai salmon fishcakes are super low carb and are full of flavor! 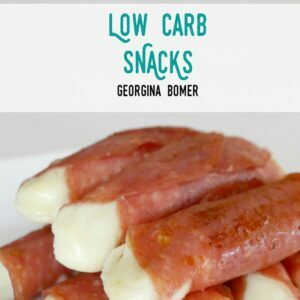 Keto and gluten free recipe that requires just five ingredients! The two main problems I have found with fishcakes I have made in the past is that they are bland and often fall apart when cooked. I have made this recipe many times and I can assure you I don’t have those problems now! 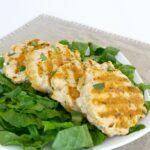 The fishcakes work best with some chilling time so it is the perfect dish to prepare in advance. This arrangement suits me well because I often have spare time during the day so I can get them made when I have some time to myself. Add two salmon fillets (skin removed), an egg, fresh cilantro, red Thai curry paste, green onions, salt and pepper into a food processor. Oh and a quick shout-out to SeaBear – online stockist for amazing salmon, shellfish, and more! Process the mixture until smooth. It can look a tiny bit like babyfood at this point but stay with me – this will all turn out fine! Lay a piece of wax paper or baking parchment on a large plate. Spoon out four portions of the mixture onto the plate. 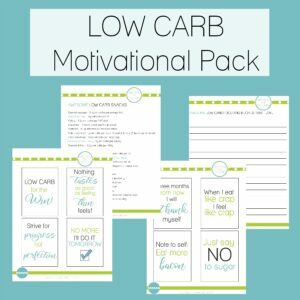 Lay another piece of paper over the top, cover in plastic wrap and leave in the fridge for at least an hour. When it’s time to cook, warm up a large non stick frying pan, adding a little spritz of oil if your pan is not 100% non-stick. Using a flat spatula or fish slice, carefully slide the fishcakes into the pan. Cook them on one side for five minutes over a medium heat, resisting the temptation to move them around too much. Turn the fishcakes over and cook on the other side for around three minutes or until cooked through. 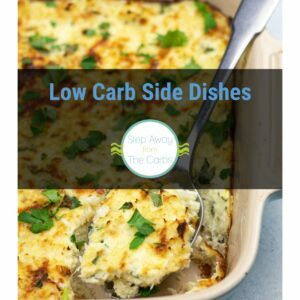 Serve with salad, shirataki noodles, zoodles, or your side dish of choice. Place some wax paper or baking parchment onto a plate. Divide the mixture into four then spoon each portion onto the paper. Cover with another layer of paper and a layer of plastic wrap, and leave in the fridge for at least an hour. 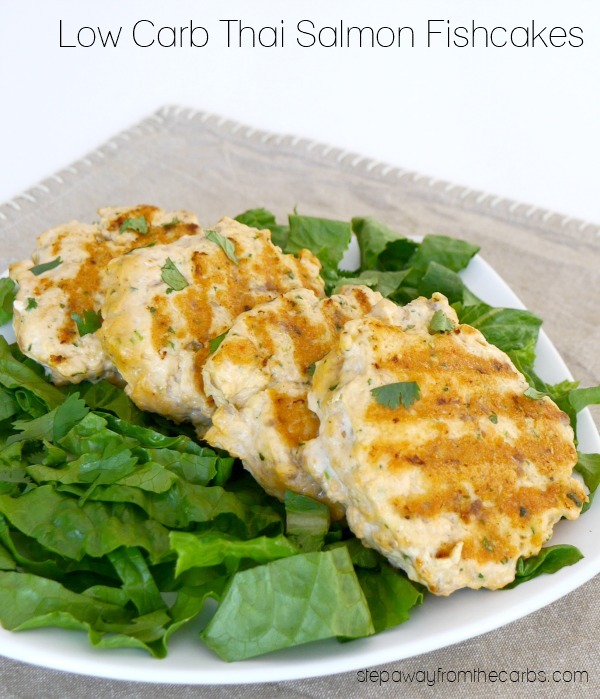 Heat a large non-stick frying pan and fry the fishcakes for five minutes over a medium heat. Turn over and cook for another five minutes or until cooked through. 1g net carbs per serving. I have tried these – it’s true, they don’t fall apart. I made mini versions and speared them on lemongrass sticks for a finger buffet – they went down very well! That sounds like such a good way of presenting them for parties!